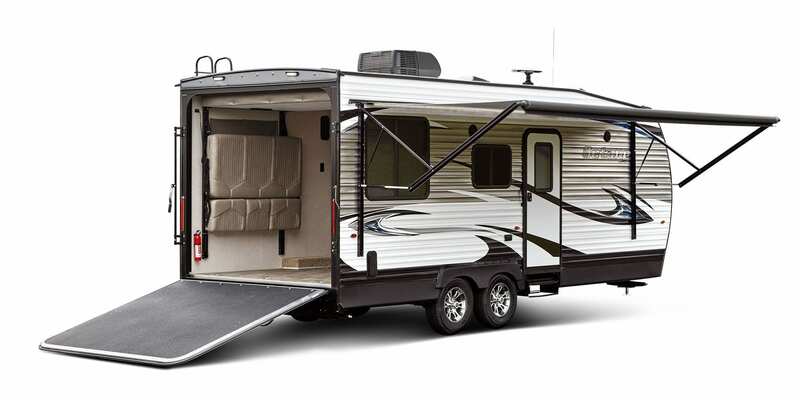 Steve and Barb of All In One Wine Pump, Inc. just purchased a new toy hauler/camper.The purpose is to use it as a mobile showroom and demonstration platform. We will be able to hold demonstrations in a variety of places in a comfortable setting. We are very excited to start this new chapter of our business. We will be transforming it over the winter to accommodate our needs. Looking forward to seeing you this year at one of the events you will be at.